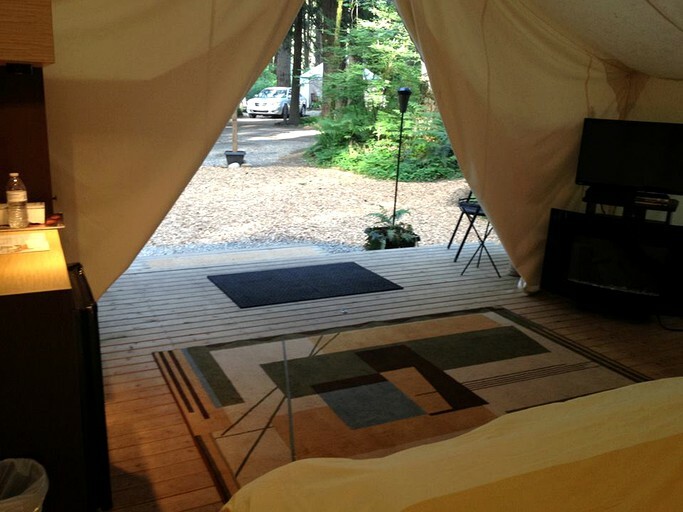 This safari tent camping rental is the perfect getaway rental to share with loved ones in Olympia, Washington. 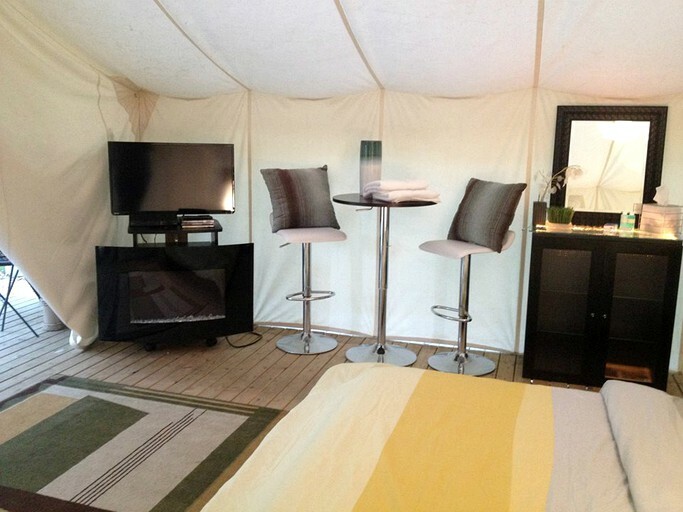 The modern tented cabin is ideal for the individuals who wants to experience the country without leaving the city. 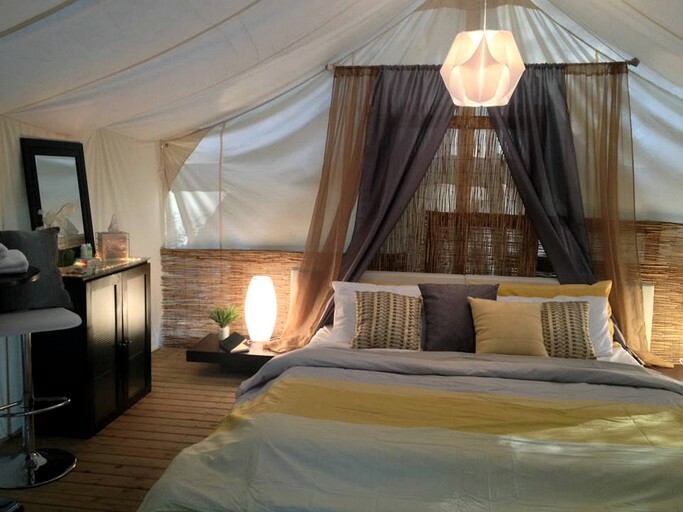 With all the amenities of home and then some, glampers will surely enjoy this modern take on camping. 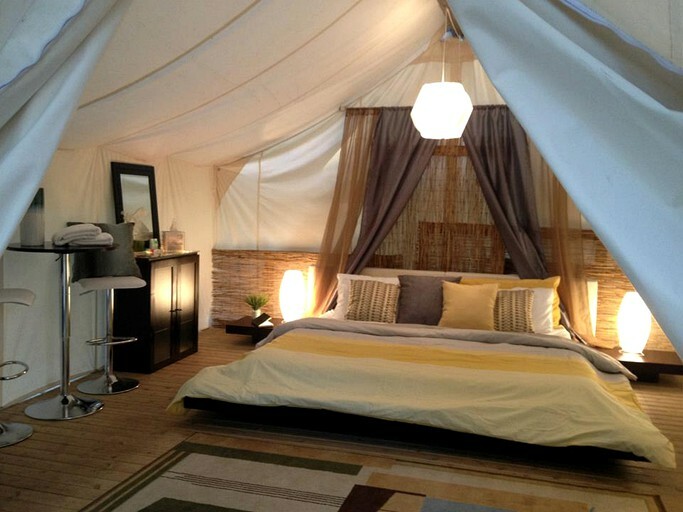 The safari tent is decorated to bring glampers maximum comfort and ensure that they feel like they are sleeping on a cloud. 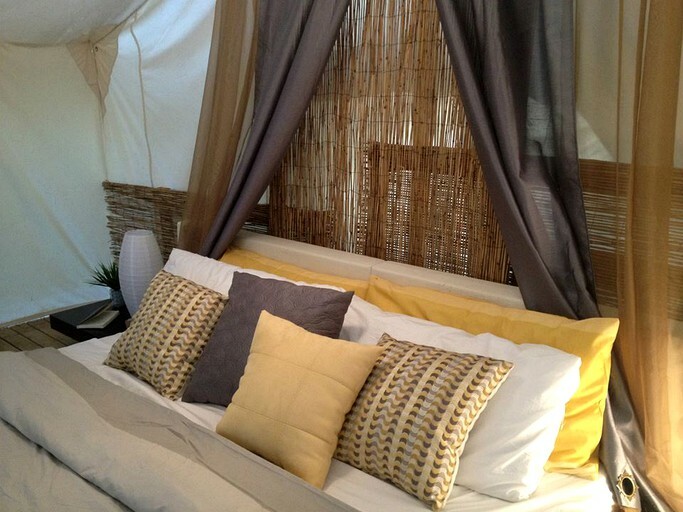 The king-size bed with its memory foam mattress will have glampers wanting to lay in bed all day. 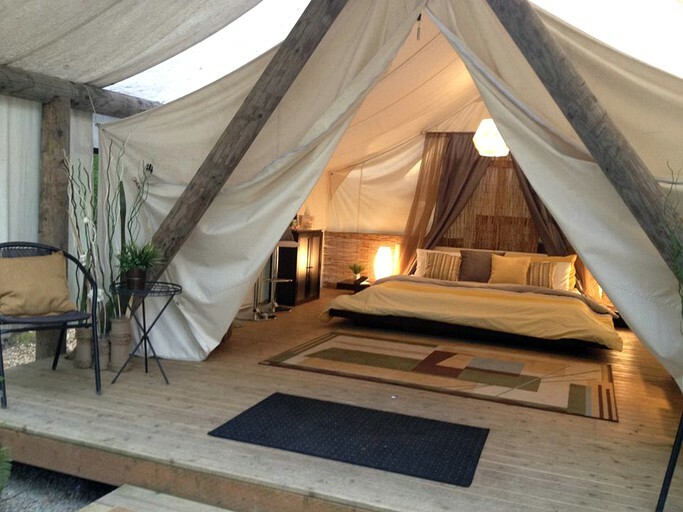 The tented cabin also features a fireplace and an electric heater so guests can cozy and enjoy nature together. 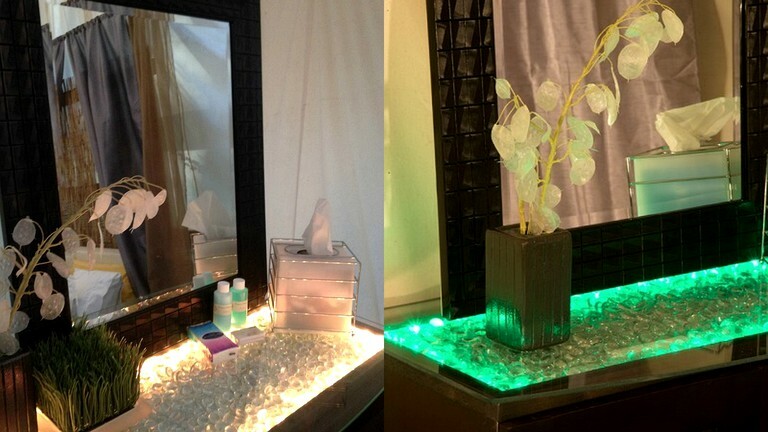 There is also a vanity table with power as well as a table with place settings for four people. 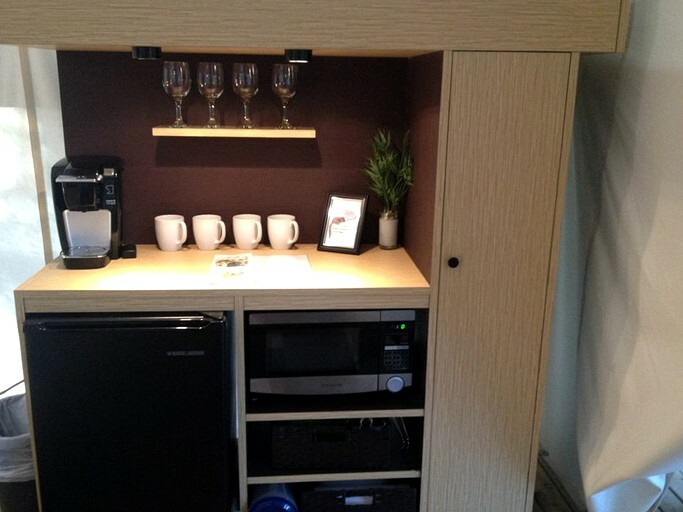 Inside there is also a mini fridge and a microwave oven and outside, glampers will find a barbecue with all the needed utensils in addition to the outdoor fire pit.